While D&I initiatives have been rolled out across corporations and agencies, what the end result should look like is another matter, said experts at an Advertising Week panel. NEW YORK: Diversity and inclusion shouldn’t be a business imperative, according to Wade Davis, a senior consultant at independent leadership consultancy YSC Consulting. 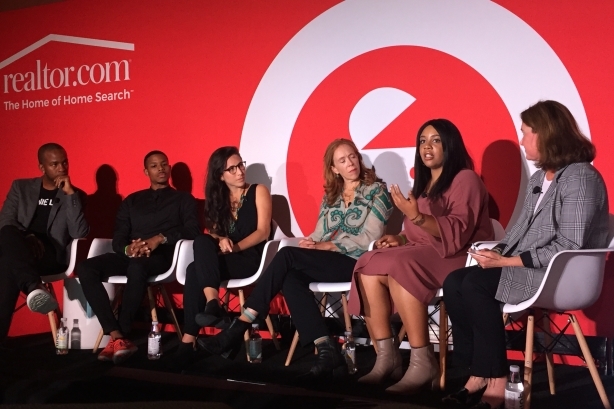 Studies making the case that companies with greater D&I have higher profits are missing the point, said Davis, speaking on the "Diversity Has an Inclusion Problem" panel at Advertising Week New York on Tuesday. Davis, a former NFL Europe cornerback, has consulted Google, Netflix, and the NFL, according to his LinkedIn profile. "When people ask you to make the business case for D&I, what they’re really asking is for you to prove to them that what they believe about you isn’t true," said Davis. "Because let’s be honest: there is no business case for white men." Davis, who came out in 2012, criticized the LGBTQ civil rights organization Human Rights Campaign, saying they operate something akin to a "pay-to-play model" that rewards donors with "100% inclusion scores." "So how do we actually start honest conversations about what inclusion really means, what it looks like, and [what it] feels like?" he added. "It doesn’t feel like me having to prove myself to anyone that I have value." Davis was one of five panelists weighing in on the tough issues surrounding D&I. Joining him were Anuli Akanegbu, senior planner at Edelman; Tim Austin, art director at Forsman & Bodenfors; Christina Lowery, CEO of Girl Rising; and Faride Schroeder, writer, director, and ambassador of Free the Bid. Karen Kahn, chief communications officer of HP, moderated the panel. Asked if Forsman & Bodenfors has made progress in enacting D&I instead of just talking about it, Austin said, "Not in my department, but in other departments I think I have [seen progress]." Davis said D&I should include conversations about whether people of color, women, and sexual minorities have actual decision-making power. Akanegbu noted that she can wear a head wrap to work without criticism. This, she explained, is an example of inclusion. "It’s these small things that make someone feel comfortable presenting their full self and not having to hide part of themselves every day at work," Akanegbu said. "I don’t want us to talk about inclusion as these big monumental shifts. It’s these everyday things in which we affirm our co-workers, friends, and employees." Schroeder said change should come "horizontally." "It’s difficult because we’re very privileged, even in our environment, so we have to [take] a very human and very deep look inside us not just to make [corporate] decisions, but being better humans," Schroeder said.